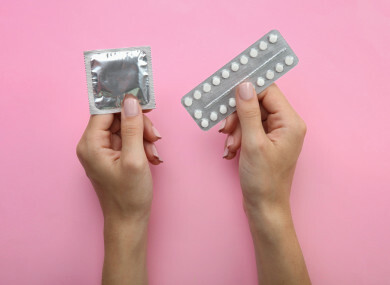 A WORKING GROUP is to be established to examine removing cost barriers to accessing contraception, Minister for Health Simon Harris has announced. It will also look at whether there are other factors influencing ease of access to contraception which could be addressed. Some of the areas the group will look at include financial barriers, legislative barriers, regulatory issues, and contractual issues. It will make recommendations to the Minister. The access to free contraception was a recommendation made by the Oireachtas Committee on the Eighth Amendment, and something that Simon Harris said he was hoping to introduce this year. Initial work within the department found that rolling out free contraception would involve changes to legislation. Harris told TheJournal.ie last September that he was aiming to give all women access to free contraception in 2019. In a statement announcing the working group, Harris said: “One of the key recommendations of the Oireachtas committee on the Eighth Amendment was to improve access to contraception. We have taken a number of steps in increasing access to condoms this year. “Now, I want to ensure that we complete the next big body of work in this area. This work will take a number of months to complete, but it will deliver a clear pathway forward. Cost should not be a barrier to accessing contraception and I am determined to address this. Currently, women who have a medical card can access contraception for free. However, those that do not often have to pay for an initial doctor’s consultation as well as a repeat appointment every six months or so in order to get their prescription renewed. TheJournal.ie revealed in January that the minister has been lobbied by a pharmaceutical company and the pharmacy union in recent months, as plans for the promised rollout of free contraception for all women moves closer. The Minister will update his Cabinet colleagues on this work later in the week. Email “Harris announces group to examine how to make contraception cheaper”. Feedback on “Harris announces group to examine how to make contraception cheaper”.